For information about a particular Papillon, contact the phone or e-mail in the Papillon's description. 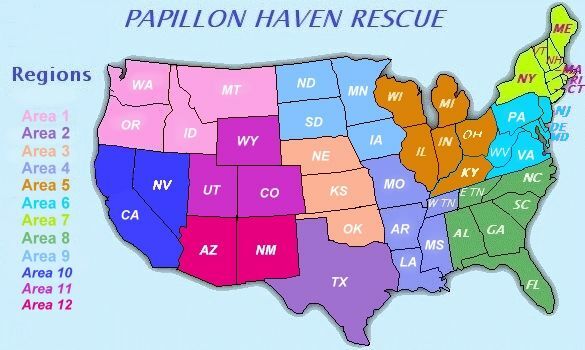 Papillon Haven Rescue (PapHaven) has resources across the U.S. willing and ready to help. Click on your state to E-mail helpers in your area. PapHaven is a 501c3 organization and your donations will be federal tax favored.